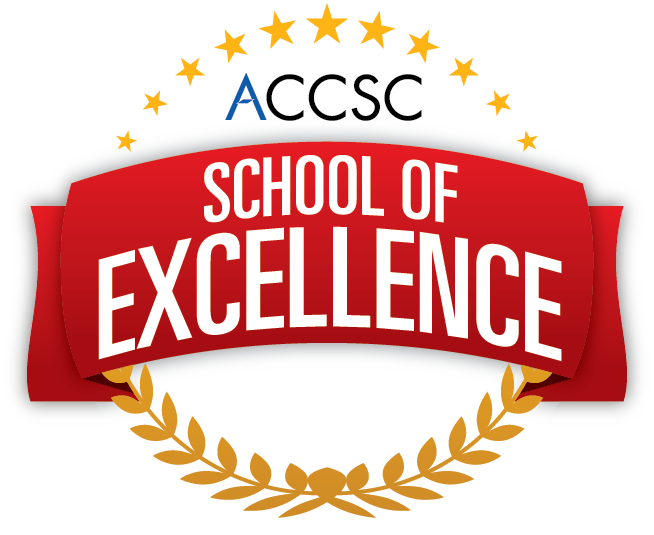 Stanbridge College has been named a 2014-2015 School of Excellence by the Accrediting Commission of Career Schools and Colleges (ACCSC). Stanbridge was honored along with 23 other schools, out of the 800 institutions that the ACCSC accredits. The award distinguishes ACCSC-accredited schools for their commitment to the expectations and rigors of the accreditation process, as well as the efforts made by high-performing institutions that have demonstrated strong student achievement outcomes. Stanbridge College has been selected as a 2014-2015 School of Excellence by the Accrediting Commission of Career Schools and Colleges. ACCSC-accredited institutions are eligible for the School of Excellence Award every five years, subject to meeting the conditions of renewing accreditation with ACCSC without any findings of non-compliance, satisfying all requirements necessary to be in good standing with the Commission, and demonstrating a high level of student achievement, including rates of graduation and graduate employment. Stanbridge College was also the recipient of the 2015 Excellence in Student Services Award from the ACCSC, which recognizes an accredited institution that operates an outstanding student services program. In selecting the winner, many factors are considered, including the comprehensive depth of the program, the significant and positive contributions of the program to students’ college experience, and how the program supports and enhances the school’s mission. Stanbridge provides students with a suite of comprehensive services from the first day of orientation, including a team of six full-time Student Services team members, extensive academic tutoring, mentorship programs, crisis counseling, a dedicated, full-time Academic Success Coordinator, access to a Learning Resource Center, financial literacy advising, and eight Career Service Officers. Stanbridge College was recognized during the Award Ceremony at the ACCSC’s Annual Professional Development Conference in Arlington, Virginia on September 9th, 2015.